I’m reading a book this summer by Mark Batterson, called Wild Goose Chase, with a group of women from my church. Wild Goose is the Celtic name for the Holy Spirit. Following Him isn’t like your typical run-of-the-mill goose chase, however they have many similarities; it can be wild and crazy, unpredictable and may take you where you never dreamed you would go. The premise of the book is that often we as believers find ourselves in various cages that hinder us from pursuing the Holy Spirit and his leadings. One of those cages is the Cage of Guilt and Mark had an interesting take on a very familiar passage of Scripture in Luke 22:60-61 (NLT) But Peter said, “Man, I don’t know what you are talking about.” And immediately, while he was still speaking, the rooster crowed. At that moment the Lord turned and looked at Peter. 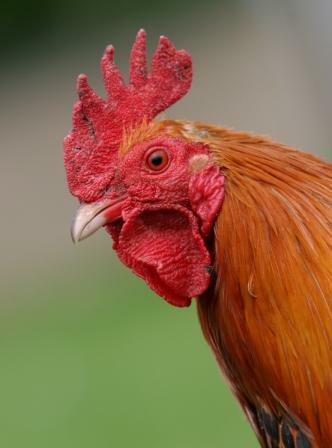 Suddenly, the Lord’s words flashed through Peter’s mind: “Before the rooster crows tomorrow morning, you will deny three times that you even know me. And Peter left the courtyard, weeping bitterly. I had never thought of that before and I felt that question resonate deep in my soul. As I contemplated the inner turmoil that Peter must have experienced in those days before He would meet up with Jesus and find forgiveness. I couldn’t help but identify with him. Over the years I’ve had my own “rooster crows” that remind me of my failure and sin. It doesn’t take much to jog my memory of a time when I let God down or someone I loved. It can be a song, a smell, a conversation, a place and my glaring failure rises up to taunt and torment me all over again. I don’t like my “rooster crows” – in fact I avoid them like the plague. To be honest it’s a lot easier than having to relive my guilt and pain. As Mark Batterson raised his microscope to Peter’s failure he pointed out something that took me completely by surprise. At dawn Jesus was standing on the beach, but the disciples couldn’t see who he was. He called out, “Fellows, have you caught any fish?” (John 21:4) This is one of my favorite passages of Scripture. Peter has given up and gone back to his old way of living but Jesus, his Redeemer and Friend, hasn’t given up on Peter. Notice when Jesus goes to Peter? Yep you got it, at dawn. 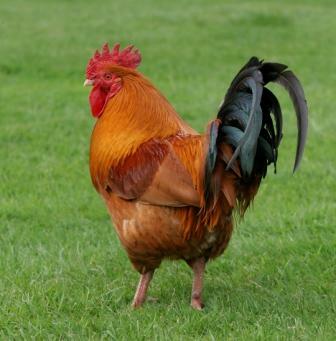 When do roosters crow the most? Jesus meets Peter when the roosters are in full-swing, by a charcoal fire reminiscent of another fire where Peter betrayed his Friend. This wasn’t a haphazard appointment – Jesus came at deliberate time for a specific purpose. In the next few verses we see Jesus ask Peter three times if he loves Him. What is Jesus doing here? (Even Peter is wondering why Jesus has to ask so many times.) There is purpose in what Jesus is doing; Peter denied Jesus three times and Jesus asks Peter the same question three times. Jesus is reconditioning Peter, so that the next time he hears a crow of a rooster or finds himself standing by a fire; he will be reminded, not of his failure but of Jesus’ forgiveness. Jesus is re-comissioning Peter. He wants Peter to remember the love He has for him and to know that the MISSION that Peter had once been given hasn’t changed. What Peter doesn’t know is that Jesus plans to send him on the biggest Wild Goose chase of his life! But Peter is ready; he is stronger and braver than he’s ever been before because he knows how hard he can fall and the world will never be the same. As I contemplated this new insight into the wisdom and love of Jesus, I was challenged to re-comission the “rooster crows” in my life. Instead of giving them the power to dredge up my past failures, I want to choose to celebrate and praise the God who gives me victory and grace! What about you? Do you have “rooster crows”in your life that you have allowed to flood you with guilt and remorse and convince you that you are a failure? Are you stuck; unable to go forward? The next time you here your “rooster crow” and are tempted to wallow in your guilt and shame, lift your head and give praise to the One who REDEEMED you, RESTORED you and set you FREE. And like Peter throw off the weight of your guilt and bask in the love and forgiveness of your Savior. When you do, you will be amazed at where the Wild Goose will take you!